Stan Reents, PharmD, is a health coach, a published author, and an accomplished speaker on exercise, fitness, and nutrition topics. 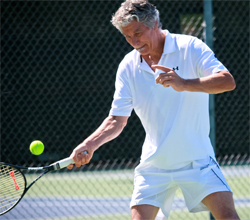 He is a former health care professional and has been a member of the American College of Sports Medicine (ACSM) since 2001 and a member of the American College of Lifestyle Medicine (ACLM) since 2017. I spent the first half of my career in clinical medicine: After graduate school and a rigorous clinical residency, I worked in an adult ICU in Chicago and with the Department of Internal Medicine at the U. Florida. During those 10 years, I worked with physicians and other health care professionals to optimize patients' pharmacotherapy. I saw a wide variety of clinical diseases and gained extensive experience. I counseled patients with all sorts of medical conditions, conducted research, and gave more lectures than I can count. In 1993, I left clinical practice and began a career in medical publishing. I joined a start-up company (Gold Standard, subsequently acquired by Elsevier) as Senior VP and Editor-In-Chief. One year later, we released Clinical Pharmacology, a comprehensive drug information resource for health care professionals. This online resource is utilized extensively by health care professionals and is licensed by many health care organizations worldwide. I have been published in numerous clinical medicine and sports medicine sources, such as the New England Journal of Medicine, Chest, Annals of Pharmacotherapy, Runner's World magazine, Training & Conditioning magazine, and others. 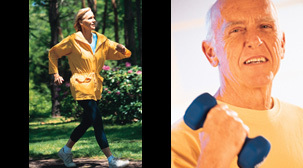 My main interest, however, has always been the health benefits of exercise. 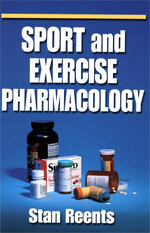 In 2000, I published the academic text Sport and Exercise Pharmacology. This is the only textbook ever written assessing the interface between drug actions and exercise physiology. I was also a contributor and a reviewer of the text Performance-Enhancing Substances in Sport and Exercise by Michael Bahrke, PhD and Charles Yesalis, MPH, ScD (released in 2002, Human Kinetics). 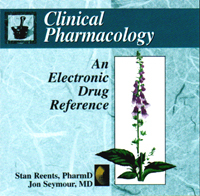 During my tenure at Gold Standard/Elsevier, I designed the web site for Clinical Pharmacology (see above). 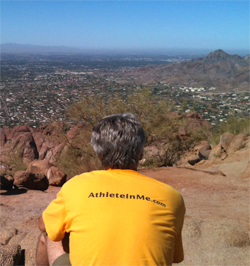 In 2004, I began work on AthleteInMe.com®; it was launched in January 2005. I completely redesigned the site in 2007. 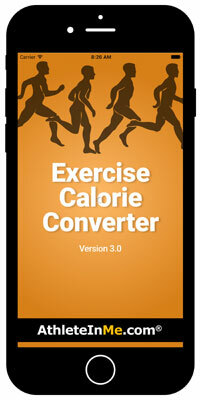 In 2010, I began work on a mobile app version of my "Exercise Calorie Converter." It was released in December 2010. Version 3.0 was released in February 2017. This app was profiled in Good Housekeeping magazine, on SHAPE.com, and on Olympic gymnast Shannon Miller's web site. It has been recognized for excellence by Web Health Awards several times. My PR at the 5-K distance is 20:15 and my PR at the 10-K distance is 44 minutes. I've also completed some "extreme" events: Several years ago, I hiked the north rim of the Grand Canyon while wearing a 40-lb. pack in July (I don't recommend this!). I've done the “Tour de Pain,” a series of 3 foot races in 24 hours in Jacksonville, Florida (Fri evening: a 5-K; Sat morning: 4-miles on the beach; Sat evening: 1-mile on the road.) I have also ridden the MS-150 several times. Although I don't run any more, I still exercise regularly. I prefer aerobic exercise. I play tennis, hike, and work out. My BMI is 23, my body fat percentage is 18%, my resting blood pressure is 100/60, and my resting HR is 62. At age 38, my VO2max was 52 ml/kg/min. At age 51, it was 45 ml/kg/min, which put me in the 90th percentile for my age group.